You are here: Home / Consumerism / Role Modeling Resiliency: How Are Kids’ Coping Skills? Tonight I came back from a celebratory dinner with fellow presenters at the CCFC summit hosted by über role model and CCFC Co-Founder Susan Linn, graciously in her own home. Spirits were high with renewed energy and vibrant inspiration of ‘can do’ people, fresh, young faces from a collegiate and doctoral demographic, and eager agents of change. I bounced into my hotel room with a spring in my step, thankful to have been among these rock star researchers and ‘troublemakers’ (as Dr. Diane Levin called us all) ready to find ways to reverse the damage of sexploitation, pornification, and commodification of childhood. Ah, the Echoing Green finalist fellowship cut: “We were truly inspired by your passion and creative ideas for social change and your application was in the top quarter of all those we reviewed… Indeed, we received nearly 1,500 submissions — and yet, as a nonprofit that raises all of the money we give away, we only have the capacity to fund 20.” Crum. Looks like my bro, and my dear pal Debbie Kaddu-Serwadda from ECCA in Uganda and the Envirolution guys didn’t make the Echoing Green cut either, but as I wrote about in the semifinalist post, it was an honor to make it this far among such global greatness. Still. I felt that distinctive lump-in-the-throat rejection sadness that leaves a hollow, emptiness inside, immediately questioning what I did ‘wrong,’ like a breakup or a failing grade, and was horrified at that wave of ‘old me’ emotional self-blame, catching it in mid-thought. How do we best help kids cope with and express feelings amidst cultural narcissism of the ‘me millenium’ with meltdowns, immediate gratification, reward systems, ‘everybody wins’ thinking and consumerist fallout. 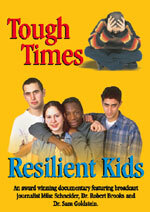 Do kids today have sufficient resiliency and coping skills? Do you? Whether it’s elimination in a school play lead, sports try-out cuts, boyfriend break-ups, cyberbullying or any of those conundrums that feel like the world is falling apart in childhood, it’s essential that kids can put setbacks into context (new documentary dvd here). With media’s ‘fix’ as an opiate of the masses, which children often use to either wind down (TV) or jack up (gaming reward systems and virtual world entertainment) it makes me wonder in the larger scheme of things, are we as a society nurturing resilience enough? Are we preparing kids for the setbacks and ‘hard knock life’ they’ll no doubt be exposed to down the line in some manner? 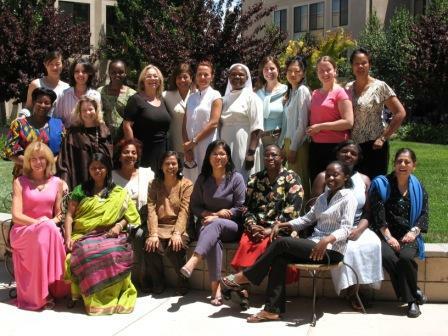 What can we do to role model resiliency better amdist universal life stresses? Yowza. Those numbers seem disturbingly high. Why are some capable of springing back with coping skills and survival instincts, whereas others wither and fade in a pity party? Are we raising today’s children to be inoculated from the disappointments that they need to grow and thrive as resilient adults? What constitutes normative behavior, and healthy coping skills? Seems there’s a definite need for outreach, healing, human contact and intervention with some of the media messaging landing on kids today. Gen. Y expert Anastasia Goodstein of YPulse (who happens to also mention the ZookaZoo/Dizzywood eco-virtual world elements we just discussed here) is dreaming up the notion of some form of digital ‘coping skills’ widget to link kids to youth development pros and facilitate online intervention to enhance resilience in troubled times…I’m dying to hear more on this idea when I interview her for the upcoming YPulse summer mashup in July. (meanwhile if you don’t want my full mtvU study link above, she has a brief synopsis of the AP poll here). She tracks the entire child star fame and fortune spiral connecting the dots to attentive familial focus in those childhood formative years, and has written some provocative posts about the acceleration of our society’s preoccupied, fast-paced, half-alert, partial attention deficit. 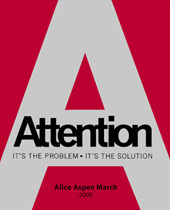 Waking up to ‘the attention factor’ appears to be an applicable solution to multiple societal woes, from kids’ acting out to classroom problems, depression, substance abuse, stress, divorce, you name it. She argues that ‘acting out’ often comes from the wrong ‘kind’ of attention (or no attention at all, feeling lonely and invisible) and warning signs are often prevalent and preventable if we were all just…um…paying attention! She notes his public discussions of his stress, insomnia, cold he couldn’t shake, etc. and even though he appeared to be coping with resilience, his actions were a cry for help, right down to his scheduled massage to relax, and sleep aids. She says the KIND of attention and connectivity we need to thrive as human beings is not what’s being offered out there in the shallow, busy, consumerist, ‘image-based’ pursuit of happiness…It obfuscates the deep need for safety and the longing to be genuinely loved and accepted for who we are. I’ll review Alice’s workbook fully in another post, but I just thought I’d toss this out here tonight since I’m ‘paying attention’ to my own reactions and resilience, acutely aware of the volatile emotional pendulum swings derived from this CCFC summit itself. This entire CCFC summit has been an intense experience of emotional highs and lows, with a serious need for media ‘attention’ to some problematic damage landing on kids. From deeply disturbing research and evidence on the mental and physical state of children due to hyper-sexualization, consumption cues, and global toxicity, to bright hopes and incredible work being done in national children’s health circles by both attendees and presenters, I swing from overwhelm to tenacious vigor in full passionista mode. The growth and expansion of CCFC’s wild cross-section of consortium members (including people like me, from the ‘Darth Vader dark side’ of media/marketing!) signals the strong need for media “attention” on this topic of children far beyond child advocacy and the parenting arena. We need to enroll kids themselves, and we saw this even through the youthful new generation of pros ready to embrace the positive, ditch the negative, and help kids be kids by proving the harm. With research experience like this coming aboard to help the public take back the internet from the data miners and profiteers out to sell kids’ souls for a buck and explain to everyone the huge cognitive difference between adults and early child development, I’d say this was the first CCFC gig where hope and promise trumped frustration. Have we given her ‘the right kind’ of attention to self-calm and bounce-back, fully nourished and even stronger? 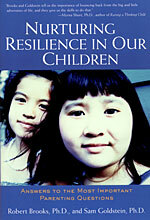 Is resiliency hard-wired in her the way it was in me as I moved around the world? Is she rational enough to put things in perspective and be appreciative and thankful for all she has to offer? Can she sift through the messages pummeling her adolescence that define kids by how they look and what they have rather than who they are? p.s. Mom, Dad: Sincere thanks for raising me with more flexibility than a Gumby doll. (how’s that for a retro reference? It would probably have an LCD and computer chip in it by now, heehe) Independence and resilience was inbred deeply in my personality and all aspects of my childhood, and it continues to serve me quite well. I love the questions you pose here in the post. So many parents need to read this, it’s a very important issue, especially in todays world. I’ve been thinking about these issues too recently– and I truly believe that one of the areas where role models can do better is in admitting mistakes. Resiliency is tied in with this skill because once we admit mistakes, we can move forward to fixing them or addressing them. Children so often look at their parents and mentors as superheroes who don’t do anything wrong– no wonder some have trouble being resilient when things go wrong in their own lives. And on our quest to be perfect, it can be challenging to settle for anything less. Hi Robyn, I love that post of yours, one of my faves! And though she has grounded logic in this, staying low-key and under the radar in ‘pre-launch’ mode sans media attention is my preference as we filter, and plan, very strategically what our ‘next steps’ will be and with whom. These lessons and life skills translate from biz to beaus…kids need to LEARN that inner happiness takes persistence, resilience, and tenacity…I guess I’m a ‘role model’ for slogging it out the hard way rather than hopscotching to some sort of faux media stardom. In the long run, this organic approach to how the org evolves will prove to be the more holistic fit; the important thing to convey in my mind is that mistakes WILL be made, and recovery from them may be daunting but is very doable. Yes, I have to agree with you on perseverance (as I talk about it in my character curriculum)– or as you wrote, “persist for the payoff.” Any goal, whether it’s to become a better parent or to learn how to ride a bike, takes promise (a statement of commitment that you will indeed do it), practice, patience, perseverance (never giving up until you reach your goal), and positivity (that good things will happen as long as you keep trying). I did indeed like Childhood Matters host, Rona Renner’s interview on View from the Bay. She has a wonderful presence. I look forward to getting to know her (I hope to hear from her after you sent that email– it will be a pleasure). It’s always a treat to meet others who are on the same page when it comes to parenting, educating, and working with children. I’m delighted to have discovered the “shaping youth” site via a blog search for parent & school references for my own website, http://www.copingskills4kids.net. My first book, and now a sequel in process also focus on practical steps for helping our kids to cope with everyday stress — a follow-up to my free and open-access “virtual classroom” for promoting coping brain literacy and basic skills for pre-teens.